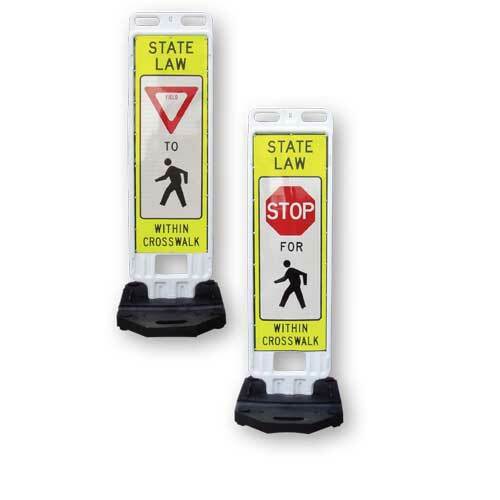 Parking Lot and Utility - RoadSafe Traffic Systems, Inc. Supplied in a convenient kit to complete 32 sq. ft. The truncated domes are integral parts of the material – not add-ons. 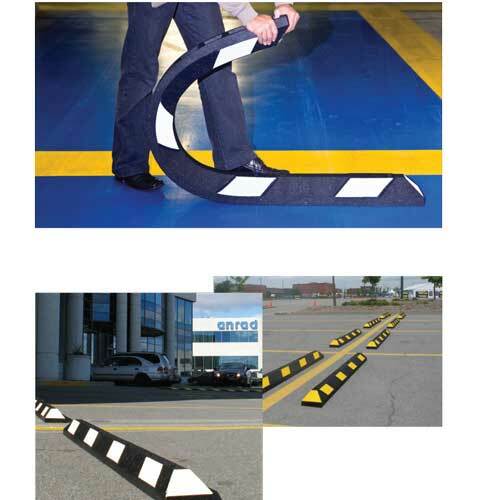 Speed bumps are a simple way to ensure traffic safety in commercial parking lots and other pedestrian and residential areas. 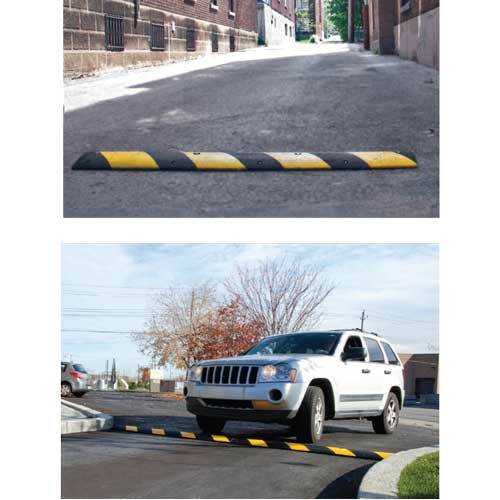 These speed bumps help slow down vehicles to a safe speed while keeping traffic moving. 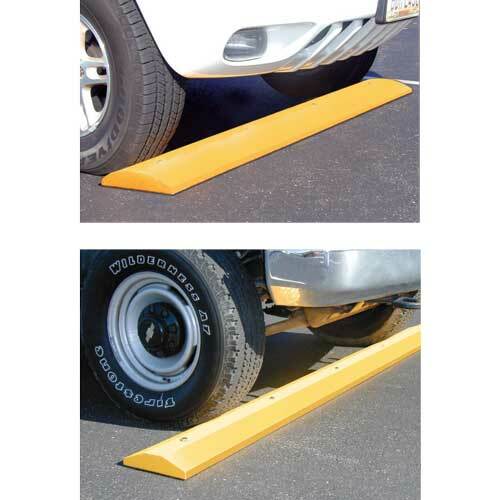 Speed bumps can be easily installed, are low-maintenance and can be removed during snow plowing. 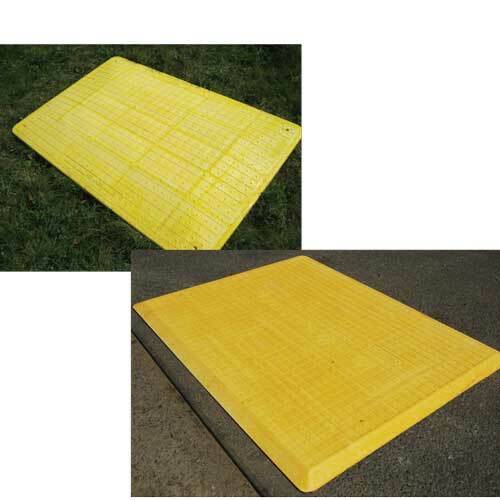 Choose RoadSafe’s variety of road speed bumps, high-visibility speed bumps and solid plastic speed bumps for your specific traffic control needs. The City Post is the highest-performing channelizer post on the market today. It remains flexible, even at extremely high and low temperatures, and returns to a full upright position even after 100 impacts at 70 mph (112 km/h). 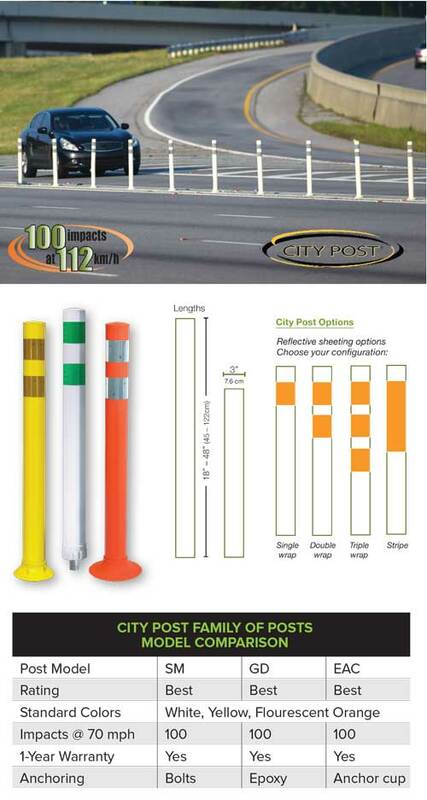 The City Post was created using advanced engineering resins to provide maximum strength and superior durability. 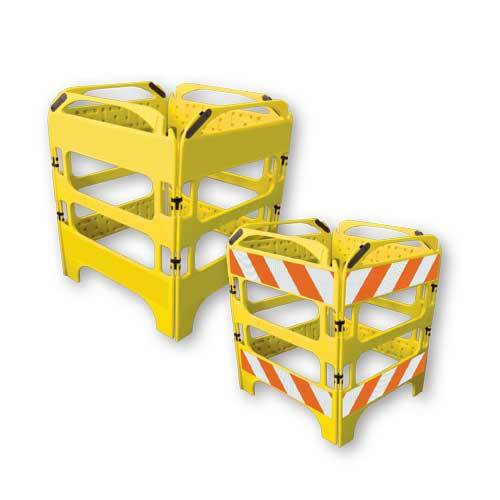 The solid, single unit polyurethane construction absorbs impacts and rebounds instantly. 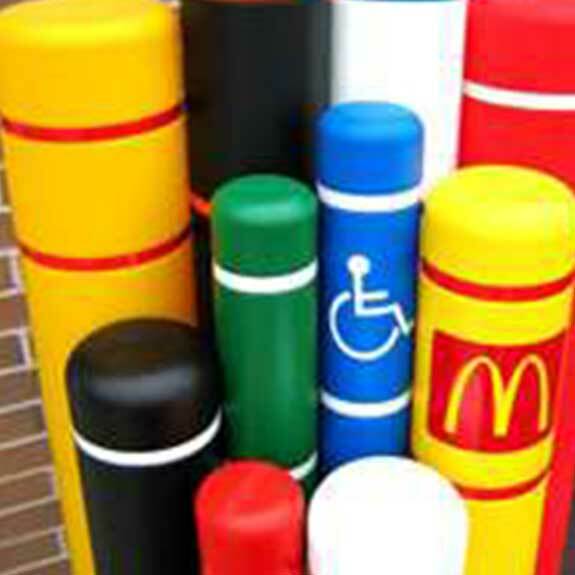 Bollard Covers enhance and protect the appearance of bumper-post steel bollards in all indoor and outdoor applications. Bollardguard is constructed from 1/8” thick polyethylene (HDPE and MDPE) and high-grade reflective tape for durability and long life. Ideal for utility work – Nonconductive! An easier alternative to cold patching. 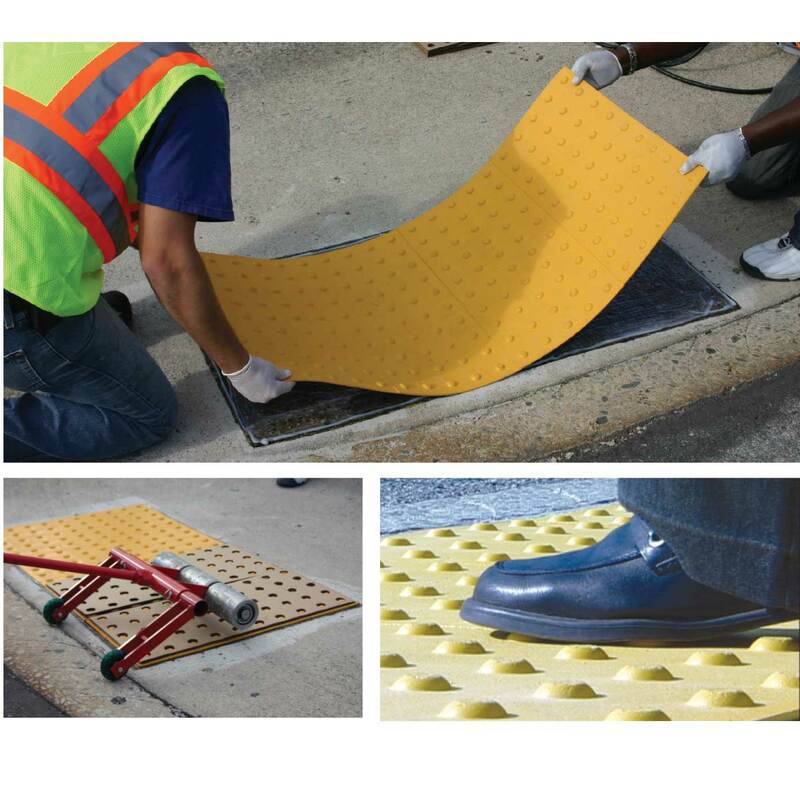 Now you can smooth over those exposed manhole risers during road construction projects in a matter of seconds. 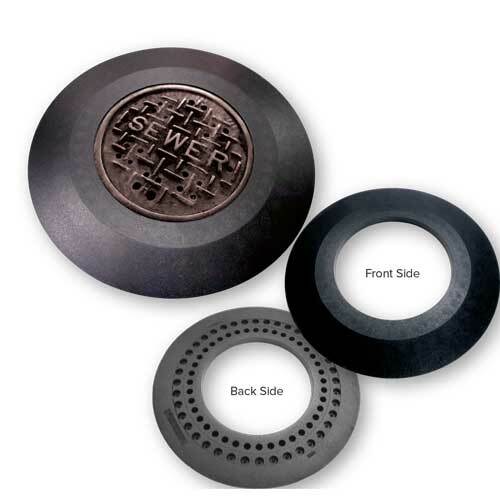 Made of tough, durable rubber, these Protector Rings fit securely around manhole risers. They won’t shift or slip. Just drop them into place and remove them simply by picking them up. You’ll save money too, because these Protector Rings can be used again and again. They can easily be stacked to save space. 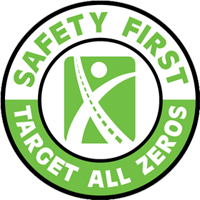 Their subtle gradient design enables motorists to drive over exposed manhole risers smoothly and safely without damaging their tires or vehicles. These Protector Rings come in various sizes to accommodate manhole risers of different diameters. 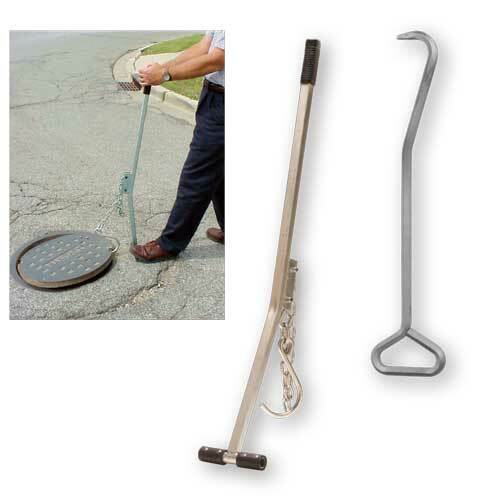 The Easy-Off manhole cover remover is a lightweight yet durable tool that is versatile enough to remove even the most stubborn manhole covers. Constructed of extra-heavy, walled steel tubing, it is reinforced at the stress point by an extra-wide, extruded collar which provides 360° contact with the shaft. To use, simply place J hook into the cover hole, attach the chain to the S-hook, then pull back on the handle. Secure the “J” hook through the hole of the manhole cover. Next, position shaft over manhole (as shown), take up the chain slack and attach to “S” hook. Pull back on Easy-Off handle displacing cover. Move tool away from manhole until chain is tight and repeat. This tool is designed to remove stubborn manhole covers manually. Just insert the hook under the groove of the lid and pull upwards. The hook is made of high-grade hexagon tool steel that has been properly hardened to prevent bending under stress. You’ll Never Want To Use Steel or Wood Again! Takes the weight of a vehicle up to 4,410 lbs. 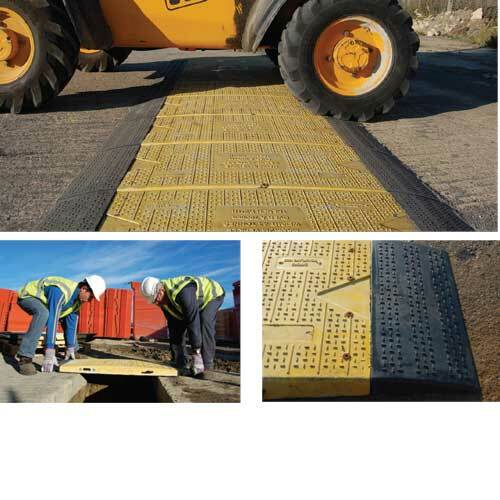 The ideal Substitute for steel plates – no boomtruck or cold patch needed! Tested to vehicle weights of 96,800 lbs.